The Jalapeño pepper is a chili pepper grown mostly in Mexico, the southwestern United States, and Central America. Most people associate jalapeño peppers with the burning sensation in the mouth when eating the pepper. However, just as unpleasant is the jalapeño skin burn that you can get from simply touching the pepper during food preparation. Here are some soothing agents for such burning sensation. Choose one or several of them and get rid of this discomfort. Still, pay special attention to some accompanied symptoms. The burn from jalapeño peppers is caused by the chemical capsaicin that is naturally found in the pepper. Capsaicin is the oil found on the inside of the pepper. Jalapeño peppers vary in the intensity of the burn depending on where they are grown, how ripe they are, and the number of seeds inside the pepper. It is safe to assume that all Jalapeño peppers will be hot and the best way to prevent burns is to wear gloves when working with the peppers. Symptoms of jalapeño pepper burns mainly center on the intense burning sensation from contact with the inside of the pepper. Although rare, some people are allergic to jalapeño peppers. An allergy can lead to nausea, vomiting, breathing difficulties, lip and throat swelling and hives. Anyone with an allergic reaction should seek immediate medical treatment. Home remedies for jalapeño skin burns are plentiful. Some work better than others, so you may have to try several remedies to find the one that works best for you. Some of these remedies rely on neutralizing the capsaicin oil while others simply provide symptomatic relief. Milk is one of the best home remedies for jalapeño burns because not only is it readily available but it also works by neutralizing the capsaicin oil that is causing the sting. You can drink the milk or soak your skin with it. 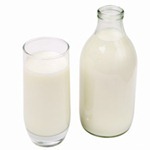 The casein in milk “unhooks” the capsaicin from the nerves in the skin or mouth and then washes away the capsaicin molecules. Sour cream and yogurt both contain casein and will work in the same way as milk. Chocolate, nuts and beans also contain casein, but, since they are typically not in liquid form, they will probably not provide the same relief as plain milk. A 5-10 minute soak in apple cider vinegar may act as a disinfectant and cleaning agent for jalapeño burns. If you have chilled cider vinegar, the coldness can also help with acute pain relief. The burn from a jalapeño pepper may be helped by soaking the affected part in lemon or lime juice. Because both of these juices contain citric acid, they may be useful in neutralizing the alkalinity of the capsaicin in the jalapeño pepper. Using the juice as a mouthwash may not be as pleasant as drinking a cold glass of milk, but it may be helpful in stopping the burn. 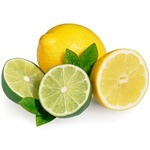 Chilled lemon or lime juice on the skin may work in two ways by neutralizing the capsaicin and acting as a cool compress for the skin. The liquid from the leaf of the Aloe Vera plant is a popular remedy for burns including jalapeño pepper burns. A natural anesthetic and antiseptic, aloe soothes the burn but must be reapplied frequently. Keep an aloe plant handy in your kitchen! 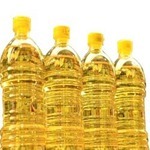 Vegetable oils such as olive, corn, sesame, or coconut oil may work since capsaicin is soluble in vegetable oil. Remove as much of the pepper oil as possible first then apply the vegetable oil and let it set on the burn for a few minutes. Vegetable oil can also be used as a mouth wash; swish it around in your mouth for several minutes then spit it out and use additional vegetable oil if necessary. Good for all kinds of skin burns, mix baking soda with either water or milk to make a thick paste. Apply it to the jalapeño skin burn and let it remain on the burn for 10 to 15 minutes before washing the area. Since capsaicin is not soluble in cold water, cool or cold compresses will not do much to neutralize the active ingredient in a jalapeño pepper burn. However, a cold compress can help the pain of the burn by numbing some of the nerve endings. Cool water flushes may help to wash out some of the capsaicin if juice gets in the eyes or nose. In most cases, exposure of the eyes or nose should be treated by a healthcare professional. Applying rubbing or drinking alcohol to a jalapeño burn may help to neutralize the juice since capsaicin is soluble in alcohol. If the burns are in the mouth, do NOT use rubbing alcohol since it can be poisonous even if not swallowed. As with all of these home remedies, you must leave them in place long enough to neutralize the pepper oil. Use toothpaste with both menthol and aloe vera gel for jalapeño pepper burns in the mouth. Aloe Vera and menthol will work together to decrease the burning in your mouth. You can also apply toothpaste to your skin, but it will have to be reapplied frequently to keep the burning at bay. Other foods and readily available medications may help ease the pain of jalapeño pepper burns. On a skin burn, try using over-the-counter hemorrhoid creams. Honey, tomatoes, other acidic fruits, and very ripe bananas can be eaten or applied to the skin to relieve pain. Again, the remedy that works for someone else may or may not work for you so try different home remedies. 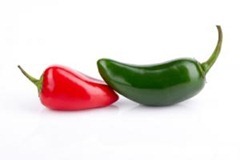 Jalapeño peppers added to foods can provide excellent nutrition and wonderful taste to otherwise bland food. However, you have to be careful with them! To prevent getting the capsaicin oil on your hands, try coating your hands with vegetable oil as you prepare the food. If you really want to prevent contact with your skin, it is best to wear vinyl gloves when handling jalapeño peppers. Remember that drinking water will NOT stop the burning; in fact, drinking water may simply spread the jalapeño oil to other parts of your mouth. Wear glasses if there is any chance of being splattered in the eyes by the jalapeño oil. Do not get the oil in an open cut; the burning will be intense and you will not be able to effectively neutralize it. Include naturally sweet foods such as onions and carrots in a recipe with jalapeño peppers. The sweetness will help to cut some of the heat of the pepper and will prevent the intense burning. You can also eat bread at the same time you eat foods that contain a lot of jalapeño peppers; bread may help to soak up some of the oil. As uncomfortable as they can be, there will rarely be a time when you will need to see a doctor for a jalapeño pepper burn. The burning and pain can last for some time, but if the pain is not much better after several hours, you may want to seek help from your healthcare provider. If the jalapeño pepper caused your skin to blister and the wound looks infected, your doctor may want to give you a prescription for an antibiotic or antibiotic cream. See a doctor if you have gotten the jalapeño oil into your eyes.